Home Bitcoins, Guides and News in English How to mine Bitcoins. Is it still worthwhile in 2019? Mining means generating cryptocurrencies, and it is the most common way to earn bitcoins without having to buy them directly. How much can you earn by mining Bitcoin? How many Bitcoins can you earn in a single day? Technically speaking, mining is a process of brute forcing; as we have mentioned, it proceeds by trial and error, that is, on a case by case basis every theoretically viable solution is verified until the effectively exact one is generated. The computer on which we use the mining program receives the header (data) of the block we want to close. An arbitary cryptogrphic nonce number is added to these data, then the double hash of the whole is calculated. If the cryptographic hash is lower than the target (the goal calculated on the coefficient of difficulty) it is sent to the server for approval. Upon failure, the nonce number is increased by one and the check routine is repeated. The validation protocol is repeated millions of times per second based on how many MHash per second can be reported by the mining program. In short, the greater the difficulty, the lower the target and more attempts will be needed to find the right number. It is therefore about pure luck, because the hashing could hit the target on its first attempt as well as potentially taking hours; for this reason, we cannot even establish an average, which would be practically useless because we could be luckier or unluckier. Let’s take a step back to better understand this process. Bitcoin systems store their operations inside the blockchain, literally a chain of blocks, where all the transactions are stored; to add a block a computer needs to close it with a code. This code is obviously mathematical and therefore a softwareis necessary, which proceeds by “trials and errors“. The purpose is to find an encryption key that can validate the new piece of the blockchain. Once you identify the code with the right algorithm, you are rewarded with a certain number of bitcoins, plus transaction fees, and the block is added to the chain. Each block then contains the transactions for a period that we can call “x” (in the case of Bitcoin these refer to the latest 10 minutes), and therefore a miner does nothing more than validate them to render them effective: we could call it a treasure hunt where the fastest player wins. Mining, as we shall see in detail, makes servers consume vast amounts of electricity, so that we can define it as a sort of compensation for the time and energy employed. In fact, numerous large companies specialising in bitcoin mining are moving to Eastern Europe, where electricity costs are significantly lower. Bitcoin has programmed the mining remuneration system according to one geometric progression that halves payouts every 4 years. From an initial gain of 50 BTCs per unblocking, it has gone to 25 in 2012 and 12.5 in 2016. Based on the above, it follows that the more new blocks are added to the chain, the lower the expected remuneration value is. Therefore, you need very powerful hardware, and preferably located in areas where electricity is cheap (such a requisite makes Italy unfeasible) to make money from mining. For this reason, they are clearly increasing data processing concentrations, called mining farms, real macrogroups of hardware which, united together can achieve massive computing powers that render the activity of small individual minersfutile. It is difficult to give a precise answer to this question, as everything depends on the available mining power. 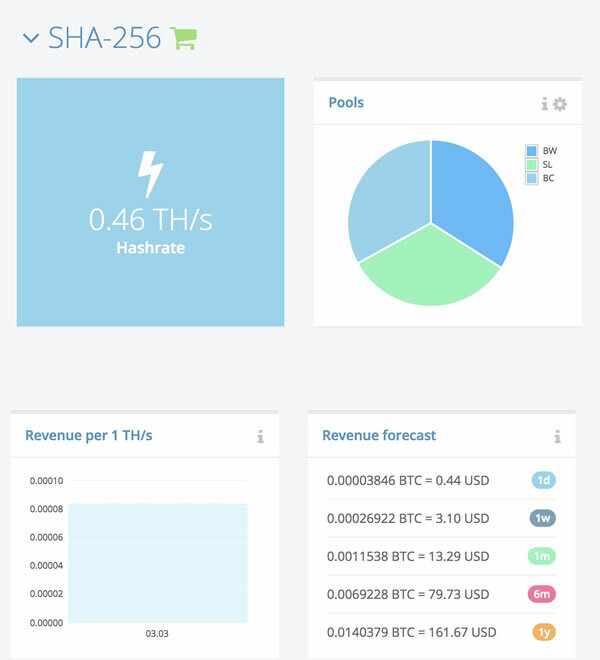 With services like HashFlare, by purchasing a mining power of about 0.5 TH/s (about $80), the annual income runs at approximately $160 (or $0.45 per day). The first of the three existing methods to mine bitcoins is to rely only on oneself and to work independently. However, it is also a risky and inexpensive practice, because although it is true that every 10 minutes about 12.5 bitcoins are released corresponding to the validation of a block, it is also true that competition is very high and ruthless. Indeed, at the current exchange rate, 12.5 bitcoins correspond to over 100,000 euros, and it is not difficult to imagine how such a sum can draw attention. If we then add hardware costs that are sufficiently powerful for performing miningoperations and electricity, the real danger is to run at a loss; without counting rivalry with mining farms, against it is like going to war unarmed. For these reasons mining pools are increasingly gaining ground. These are groups of miners that can achieve remarkable calculation power thanks to the sum of the individual components. It is a system for mining bitcoins without hardware, and if your pool is large enough, you can achieve results that rival those of a mining farm. Working in a group, in fact, means that the algorithms are easier to solve and smaller, making the process faster and more profitable. However, on the other hand, there are a couple of problems. To compete at the level of a mining farm, it is necessary that each machine is exceedingly powerful, above all in terms of graphics card, and this may require investments in the thousands of euro range. The second part concerns the attention to be paid in choosing the mining pool. The reward method is another parameter to be taken into consideration (proportional, pay per share, score based or PPLNS [Pay Per Last N Shares]). Other aspects include commissions for mining and withdrawal, the frequency with which one is paid and the stability. The third way is that of cloud mining, the easiest to use and it is also fast (and even in this case without any hardware). While traditional mining requires using your own equipment, which as we have seen are expensive in itself and for the energy it requires, cloud mining provides a system of online mining which consists of renting servers through contracts of varying duration and speed. Companies that offer their equipment for “rent” can be paid either in BTC, by bank transfer or credit card. The advantage, besides the savings, is that cloud mining sites offer various types of hash rate, so that in addition to bitcoins it is possible to mine other cryptocurrencies. Thus, you do not have to pay attention to your electricity bill or keep your computer on for days or buy your own hash rate, but through a fixed fee you will receive your reward while the Cloud works for you. Even in the case of cloud mining you need to pay some attention when making your choice. There are numerous cases of scams, i.e. fraud, by those who claim to have a certain amount of computer power to sell, and then disappear after receiving payments. Among the most reliable and stable platforms, we recommend Genesis Mind, which allows you to enter into both unlimited and one-year contracts with x11 profits. Another excellent solution is HashFlare an intuitive website, ideal for beginners and for those who want to start investing modest amounts, but also for more experienced users who do not want to take risks. The contracts start in fact from a very low rate, for example about one euro for a computing power of 10Gh/s. Among the pioneers, we must make a call out to CryptoMiningFarm; this platform allows you to earn immediately and consistently, it is enough to plough back half of your monthly income into circulation (which can be withdrawn every 30 days) with a maturity of six months. In this way, you will immediately see the investments returns whilst earning a regular income. Lastly, we also suggest Hashing24, similar to HashFlare, because this is also one where you can invest in computing power; contracts start at 100Gh for a fee that is under €20. The advantage is especially good for those who want to see instantaneous returns, since the platform allows daily withdrawals. There are several internet sites that allow you to mine bitcoins free of charge. By free service, we mean that the platform does not require any kind of payment, but we must take into account electricity costs, the purchase of a hash rate or a sufficiently powerful GPU and, of course, time, which although it is not quantifiable, it is still valuable. We cite BitzFree among the most reliable sites that starts from 20Gh/s of computing power; its incremental speed system is a very interesting aspect, which is also obtained free of charge by converting the various bonuses that are received at each access. MinerGate is a software to download onto your machine and is based on the multiPool system. The program also offers an integrated digital wallet and a system that automatically detects your machine’s computing power; The most appropriate and profitable cryptocurrency is chosen based on the characteristics of your hardware. Without aspirations of dizzying figures, you can also try the faucets, literally dripping taps. In fact, these are sites that provide minimum amounts of BTC (usually not more than the one euro cent per day) in order to make the cryptocurrency and its mechanisms known to the highest number of users. To get your own money fragments you usually have to solve simple captcha, and once you have accumulated a minimum amount of money (on average about 5,000 satoshi, i.e. 5 euro cents) you can transfer it to your virtual wallet. The most famous is FreeBitcoin, a site that offers a sort of lottery on an hourly basis; according to the assigned number, you can earn from 0.00000226 BTC to a maximum of 0.22585089 BTC. 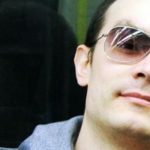 Other income is bestowed by affiliating other users, and specifically, it is a gain of 50% on the basic premium, and 25% compared to the daily interest. 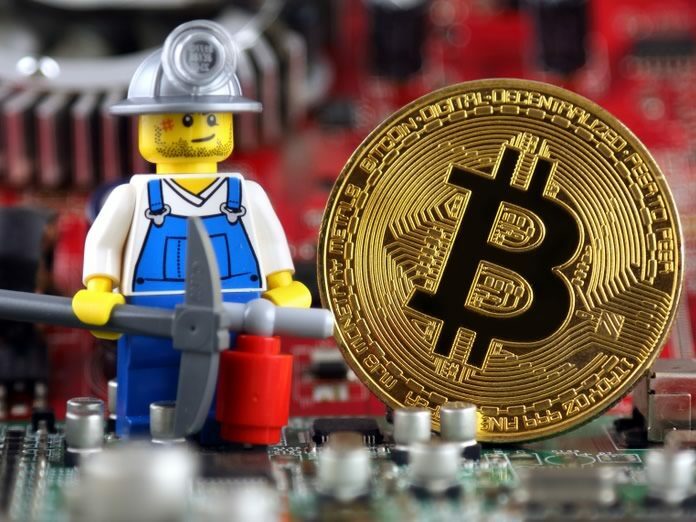 At the moment there is no legislation that prohibits the mining of Bitcoin (or other cryptocurrencies in Italy), therefore we can say that mining BTC is legal. Provided you have the right mining power, or rely on an online mining system, trying to earn bitcoins by mining them is perfectly legal.